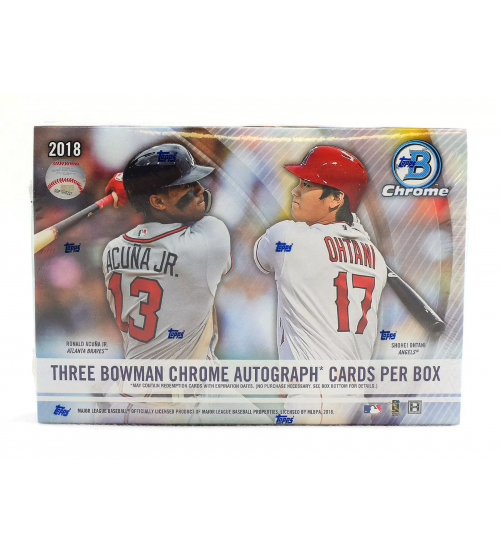 Each Box contains Five Autograph Cards! 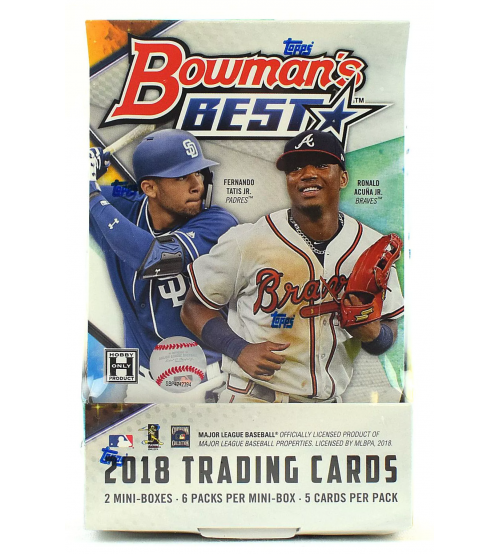 Find 1998 Bowman 20th Anniversary Autos! 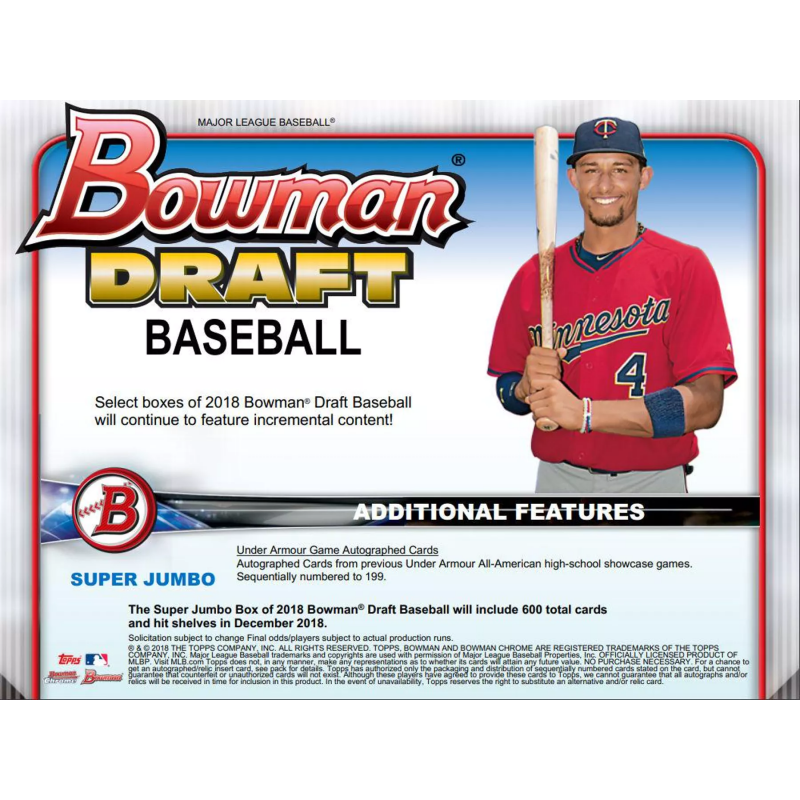 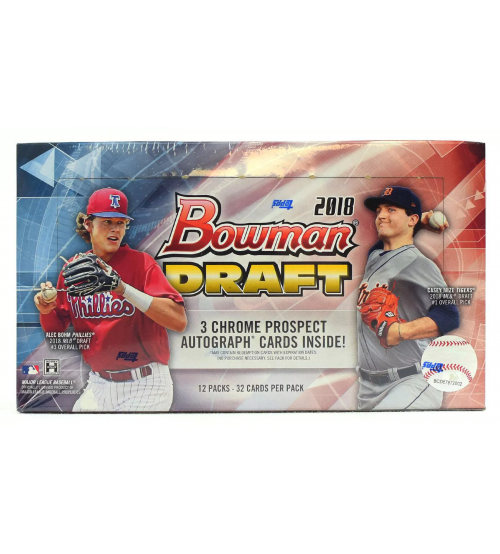 2018 Bowman Draft Baseball continues to be the first MLB-licensed cards of the 2018 MLB Draft class that are available to the public. 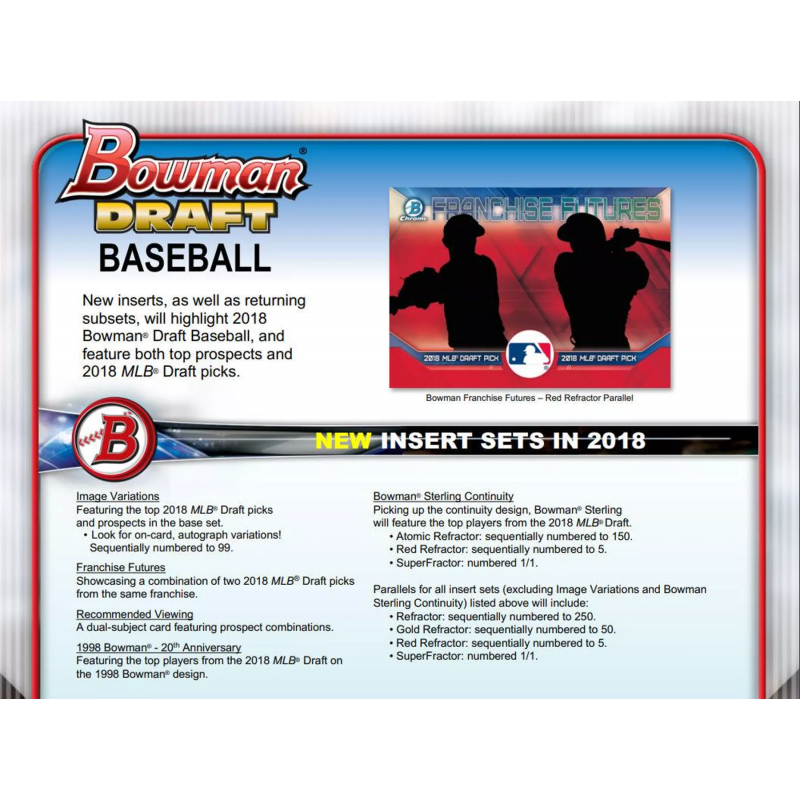 Featuring MLB's Top Prospects including Casey Mize, Brusdar Graterol, Jarred Kelenic, Jazz Chisholm, Taylor Trammell, Alec Bohm, Matthew Liberatore, Bo Bichette, Brandon Marsh, Nick Madrigal, Keston Hiura, Jeremiah Jackson, Jordan Groshans, Hunter Greene, Dylan Cease, Trevor Larnach, Royce Lewis, Jordyn Adams, Carter Kieboom, Brendan McKay, Jo Adell, Jonathan India, Jesus Luzardo, MacKenzie Gore, Triston McKenzie, Ryan Mountcastle, Eloy Jimenez, Leody Taveras, Estevan Florial, Luis Robert, Travis Swaggerty, Alex Kiriloff, and more! 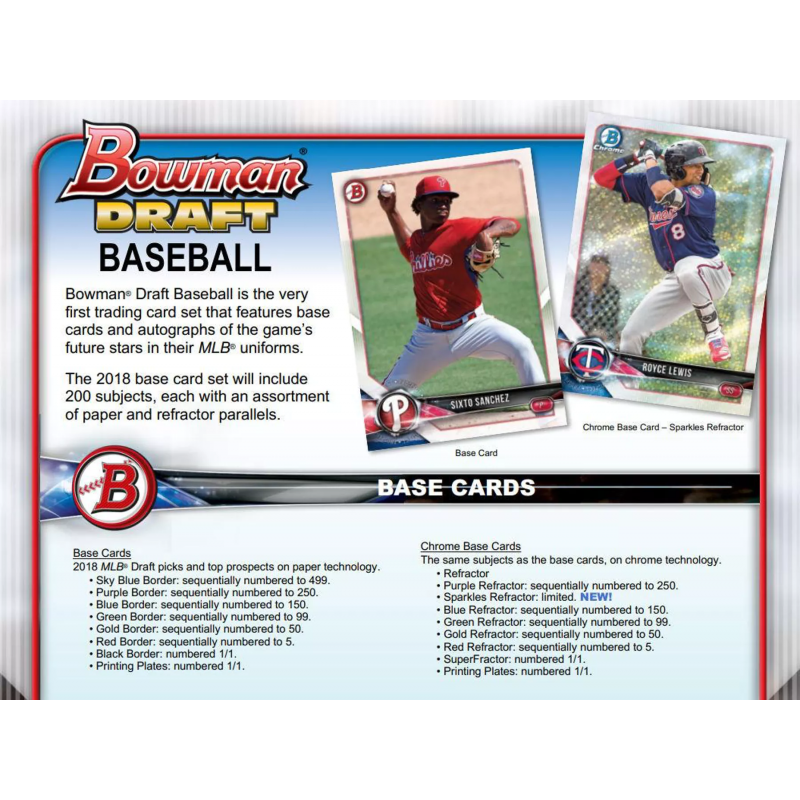 Look for Chrome Draft Pick Autographs of Alec Bohm, Anthony Seigler, Alek Thomas, Brice Turang, Casey Mize, Grant Lavigne, Jordyn Adams, Jordan Groshans, Jonathan India, Jeremiah Jackson, Jarred Kelenic, Lenny Torres, Matthew Liberatore, Nolan Gorman, Nick Madrigal, Trevor Larnach, Travis Swaggerty, and more! 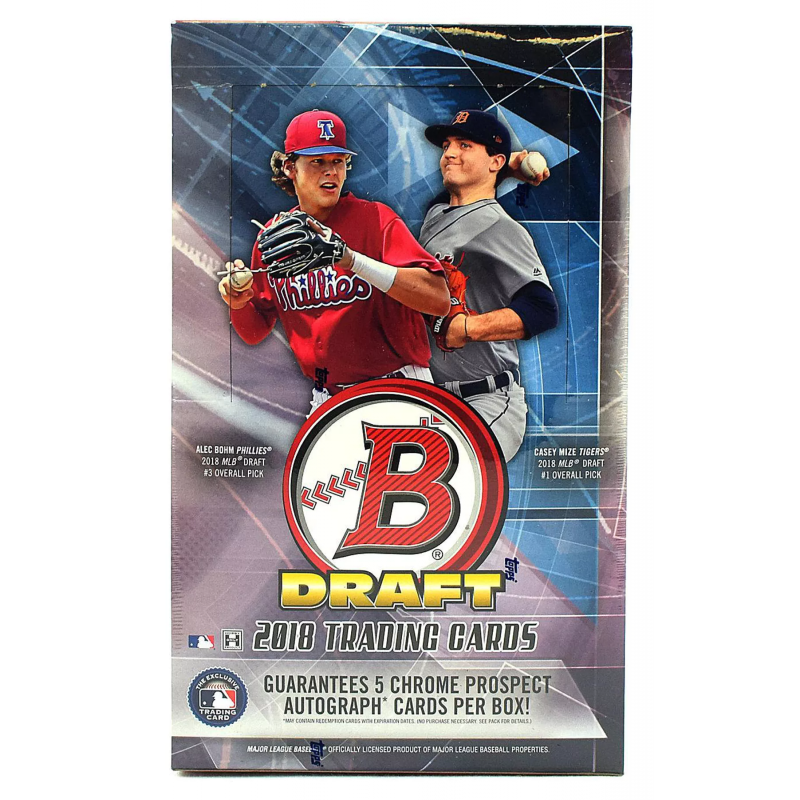 Franchise Futures: Showcasing a combination of two 2018 MLB Draft picks from the same franchise. Recommended Viewing: A dual-subject card featuring prospect combinations. 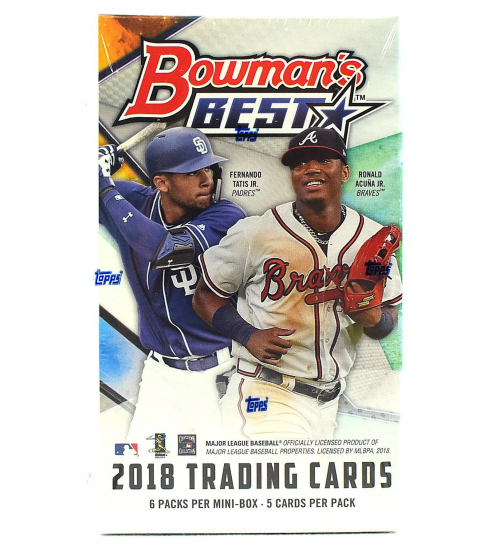 1998 Bowman - 20th Anniversary: Featuring the top players from the 2018 MLB Draft on the 1998 Bowman design. 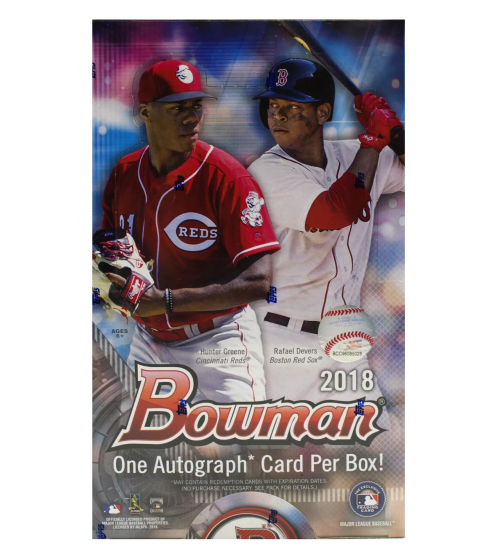 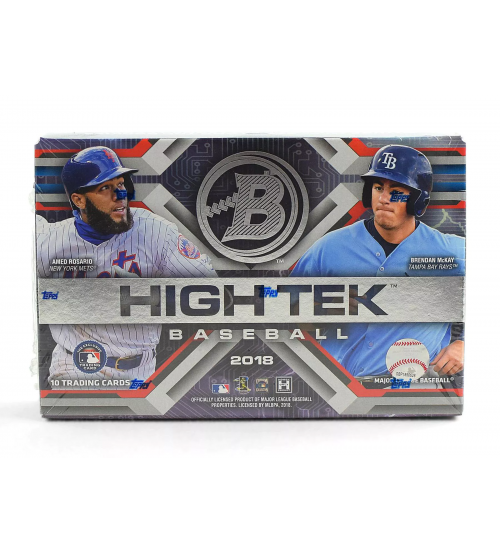 Each Super Jumbo Box of 2018 Bowman Draft will contain Five autograph cards, while each case will deliver at least 1 Class of 2018 Autograph case hit! 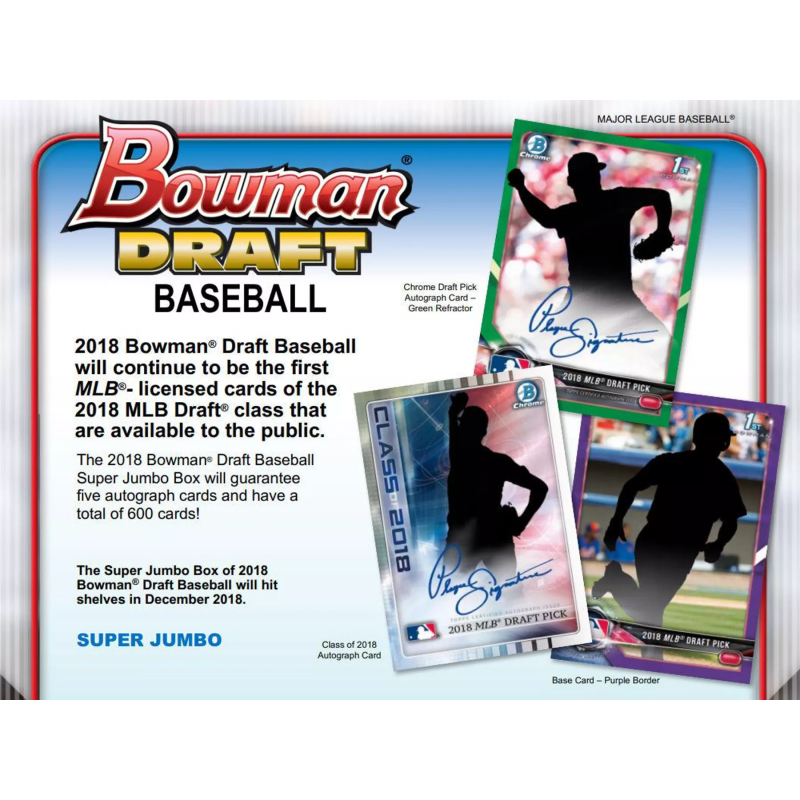 Under Armour Game Autographed Cards: Autographed Cards from previous Under Armour All-American high-school showcase games. 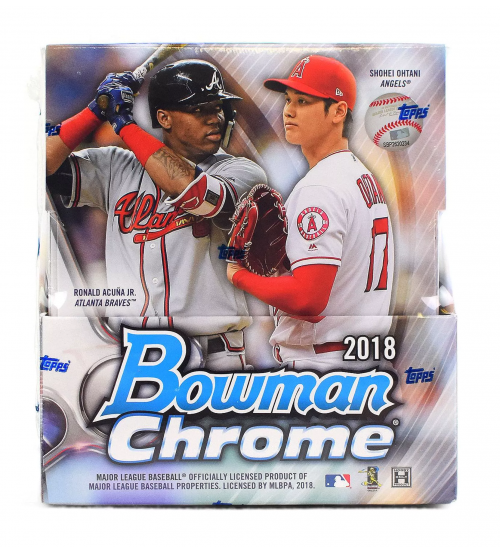 Sequentially numbered to 199.